New York City is an amazing destination for sports fans. Baseball fans can enjoy watching the New York Yankees and the New York Mets; basketball is represented by the New York Knicks and Brooklyn Nets; American Football features the New York Giants and the New York Jets; and the National Hockey League has two NYC teams: the New York Islanders and the New York Rangers. My favourite sport, however, is tennis. So on August 27 and 28 we spent two entire days at the US Open, the final Grand Slam of every tennis season. Attending the US Open is always a really exciting experience – with tennis action on 17 courts and a bustling atmosphere at the USTA Billie Jean King National Tennis Center. 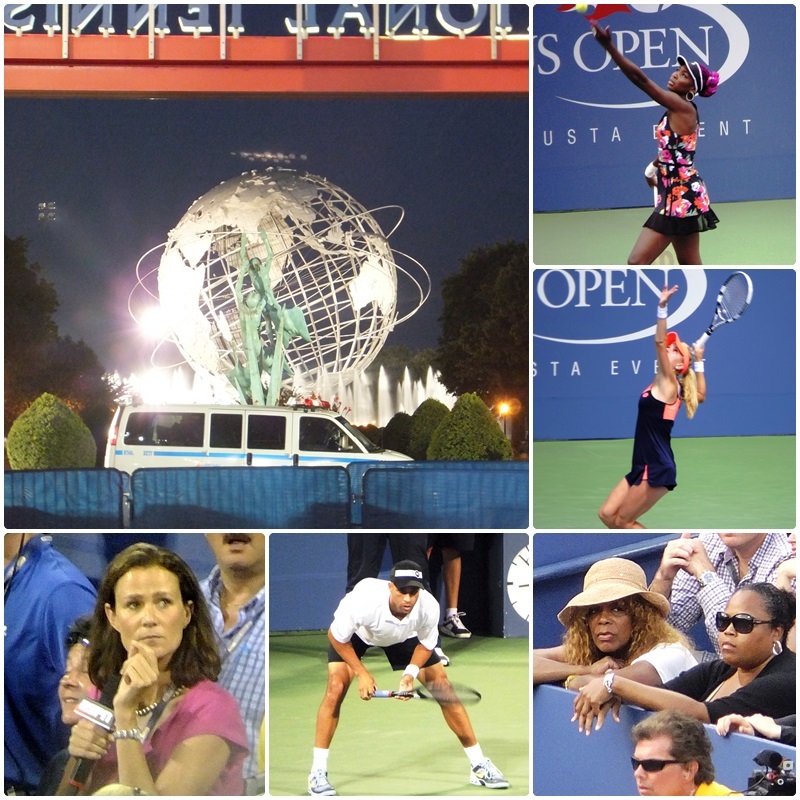 For this year’s US Open we had tickets at Louis Armstrong Stadium and we got to see some of the most well-known players in today’s tennis, such as Venus Villiams, Agnieszka Radwanska and Svetlana Kuznetsova. We also enjoyed matches played by Tommy Haas, Gael Monfils, Milos Raonic and James Blake’s last match before his retirement. It’s always great fun to watch the action in the tennis centre, from the tennis commentators such as Pam Shriver and the whole team at ESPN as well as the entourage in Venus Williams’ player box. Any tennis fan will surely understand the excitement of being on site at the US Open. 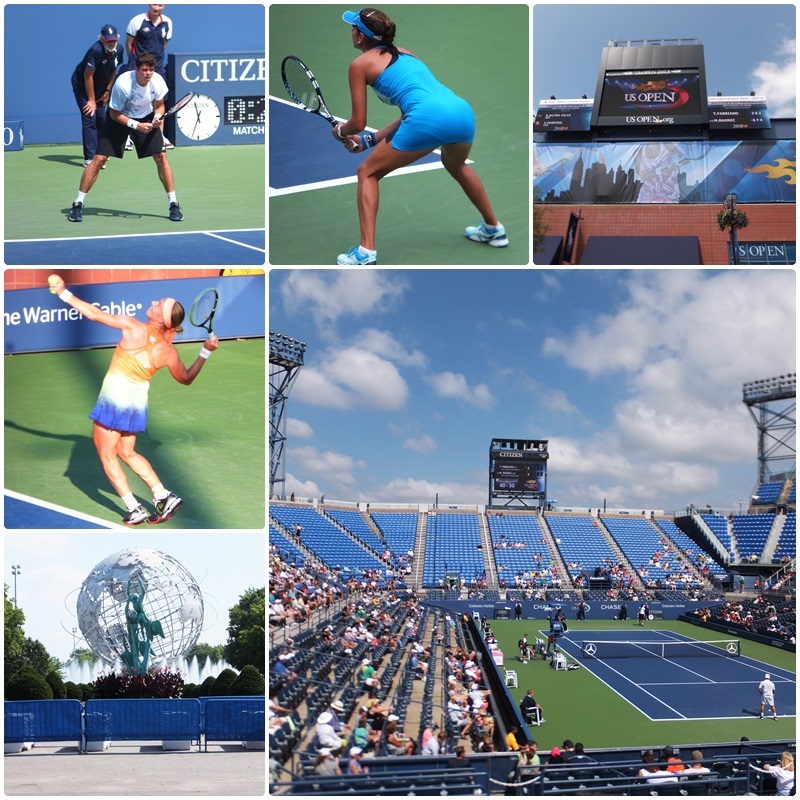 After our visit to the US Open tennis tournament we had a chance to check out New York City. 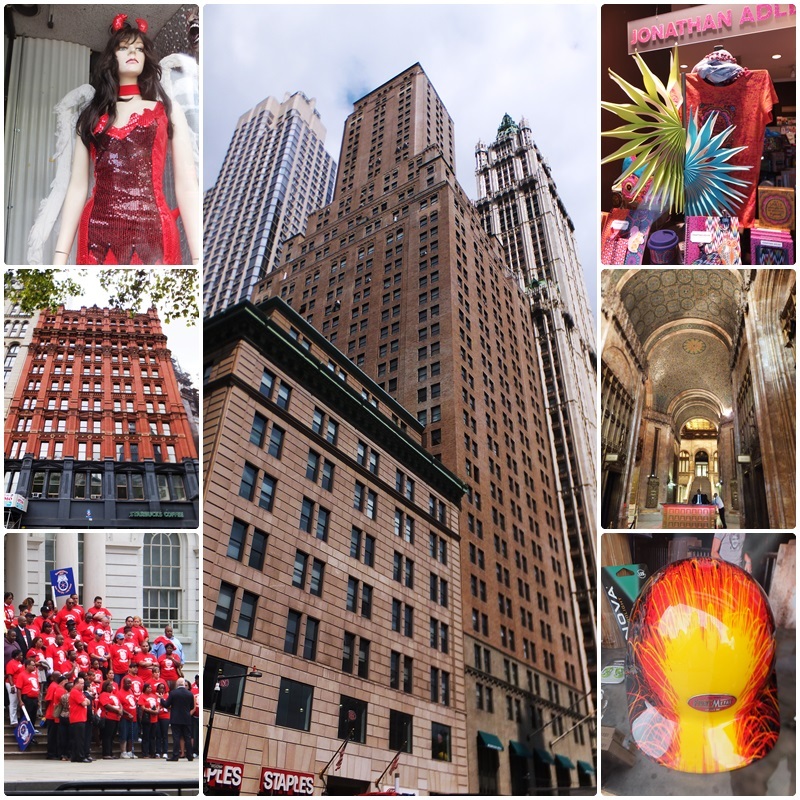 Always a fan of NYC architecture, I took the subway from Queens to Chambers Street to have a look at some of the Big Apple’s most iconic sights. 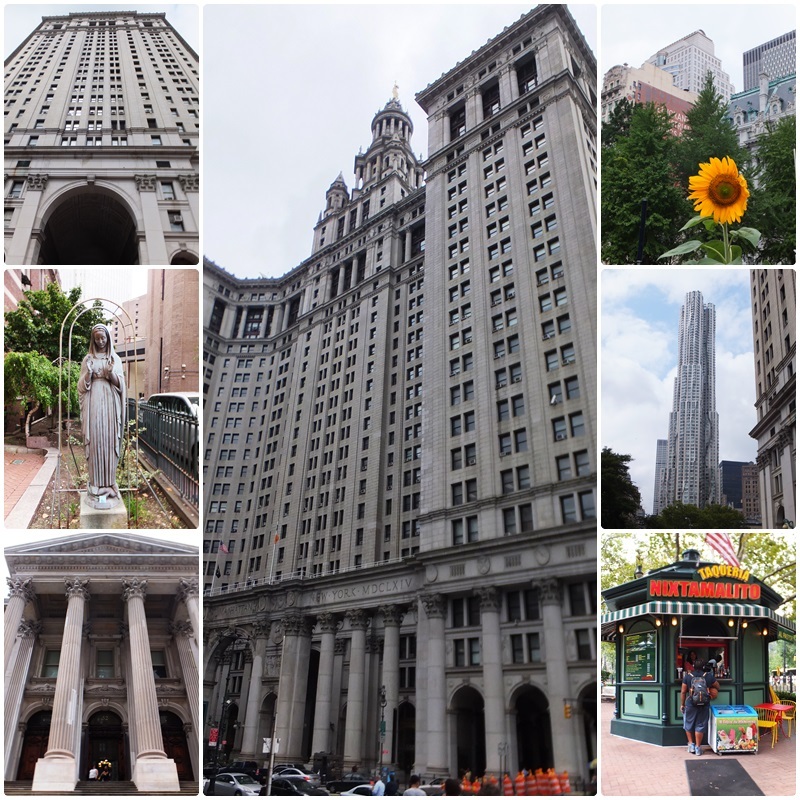 Part of the Civic Center District, Foley Square is home to some iconic structures: the United States Court House, the New York County Courthouse, the Church of St. Andrew and the Thurgood Marshall United States Courthouse. The whole area is built on the site of a former pond that had to be drained in 1811 and filled in because of a major typhus and cholera outbreak. Just a bit a bit south of Foley Square is the Woolworth Building, one of my favourite New York City skyscrapers. Completed in 1913, this iconic structure was designed by famous architect Cass Gilbert for discount chain store magnate Frank Woolworth. Even today, a century after its construction, it is still one of the 50 tallest buildings in the US. 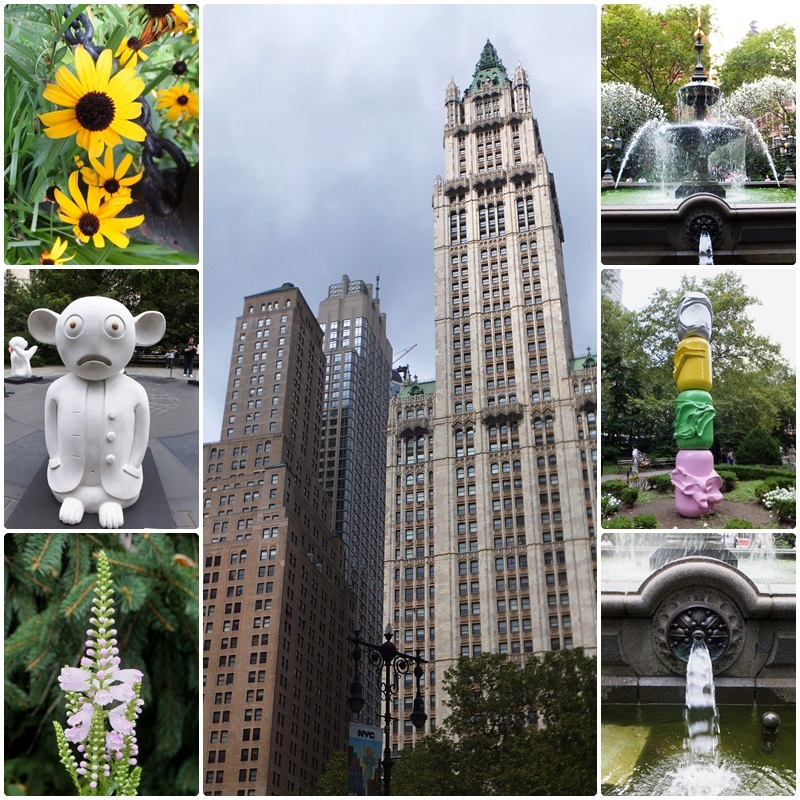 Across the street from it is City Hall Park, which surrounds the NYC City Hall. The park featured a collection of eclectic sculptures as part of an exhibition called “Lightness of Being” with whimsical artwork by several different famous sculptors. The Woolworth Building was built in the Neo-Gothic style, was 60 stories tall with 5000 windows and was often referred to as the “Cathedral of Commerce”. It has an amazingly stunning lobby but unfortunately there is a stern sign at the entrance that tourists are not allowed to venture any further beyond the interior front doors. Today the building houses offices and several educational institutions while the top 30 floors are going to be renovated into luxury apartments. In the surrounding area on Park Row there are a number of historic buildings from the early 20th century, many of which used to house newspapers in days gone by. Today they are home to a wide variety of retail stores.